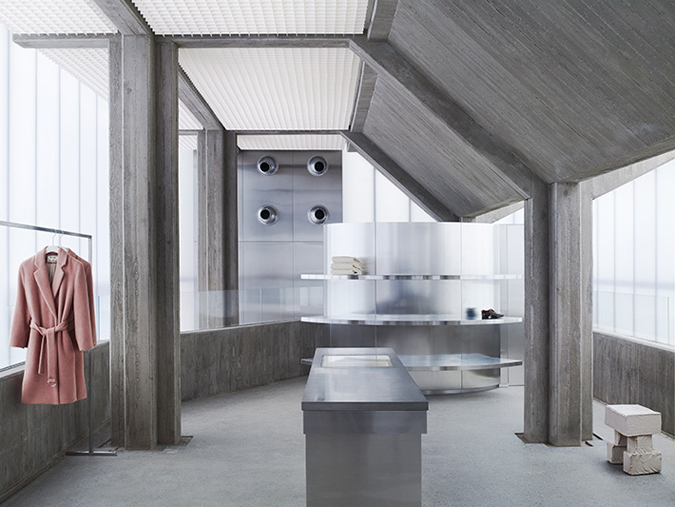 London architect Sophie Hicks designed Stockholm-based ACNE Studio‘s flagship store in Seoul, taking a deliberately anti-Swedish approach to the rough concrete structure. Ironically. The narrow, winding side streets of Gangnam house some of the most exclusive shops in the South Korean capital. 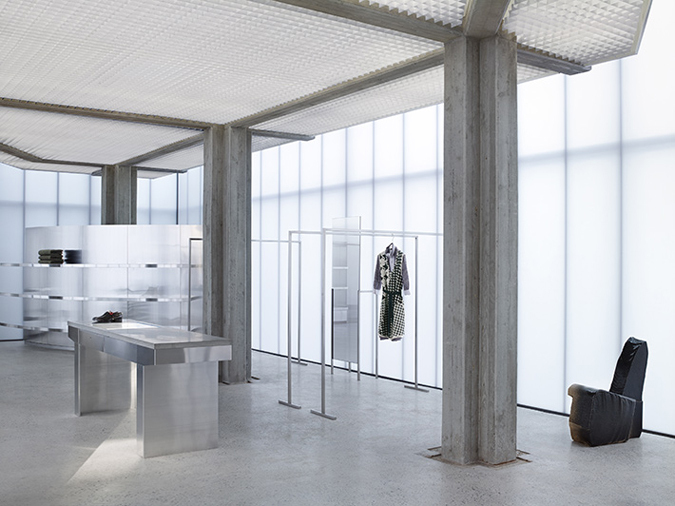 It is in this setting – a haven of peace in a fast-moving city – that Sophie built a new store for Acne Studios: a flagship store, in which to will sell both their men’s and women’s collections. The architect’s career has followed an interesting journey. She began as a stylist for Azzedine Alaïa and as fashion editor for Tatler and British Vogue. 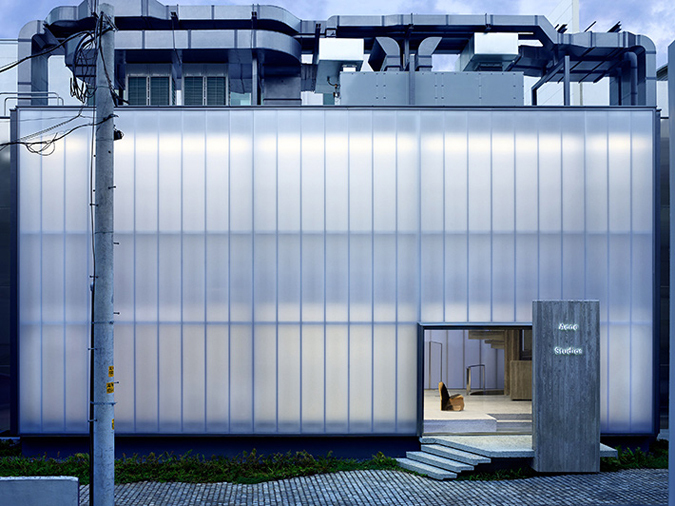 Since then, her work has expanded in the field of architecture. 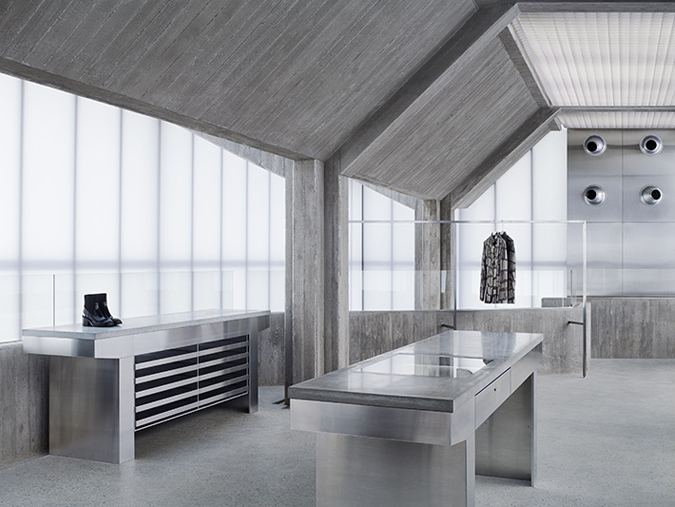 She designed the concept for Chloé’s shops and has collaborated closely with Paul Smith and Yohji Yamamoto in the conception of their stores. Basically, she is multi-talented with an eye for interesting detail and innovative execution. The store is pristine. 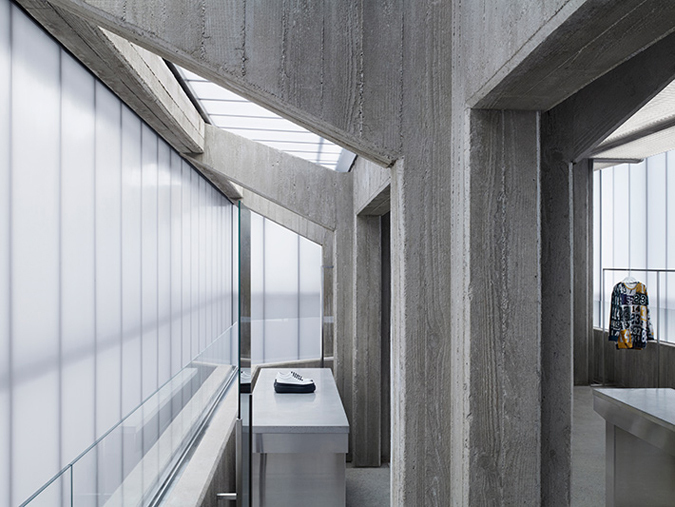 No equipment – no ducts or pipes; no entrails or vital organs; no obtrusive mechanical realities – are allowed to disturb the atmosphere within.